Remove the side muscle from the scallops and rinse in cold water. Dry the scallops thoroughly, as a wet scallop won't sear. This is very important if you want your scallops to develop a perfect golden crust. Salt the scallops with kosher salt, and let sit for several minutes. Meanwhile, coat a skillet, preferably cast iron, with canola oil and heat on high until lightly smoking. Once the pan is extremely hot, place scallops in the pan in a single layer, with enough space in between to allow any moisture to evaporate. You may need to cook the scallops in batches. Let the scallops sit on the hot pan until a brown crust appears. The exact time will depend on how hot your pan is. Once you think they have developed a crust, take a quick peek. 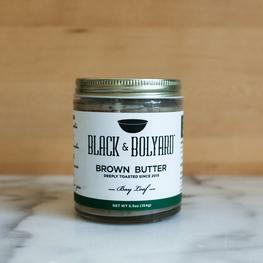 If no crust is there let them continue to cook until a brown crust forms. Flip the scallops and let them cook until the other side is also browned or they are cooked through. If you need to cook in batches, remove the scallops and place them on a plate. Repeat the process until all the scallops are cooked through. 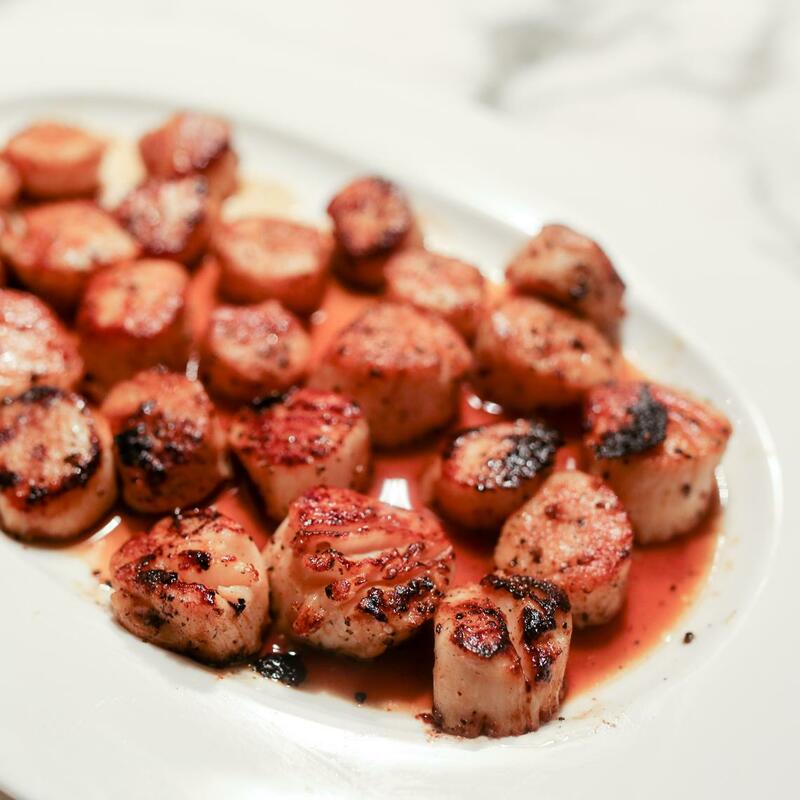 Once the all the scallops are ready, return all of them to the hot pan, and add the 2 tablespoons of brown butter. Carefully using a spoon, coat all the scallops in the bubbling melted butter. 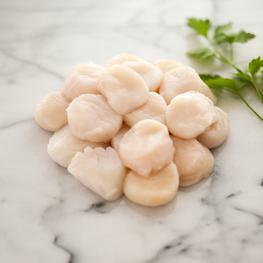 Quickly remove the scallops and serve, drizzling with some of the excess melted butter.